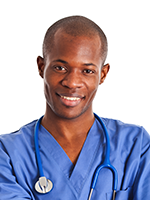 In the United States, black men are twice as likely to die from prostate cancer as white men, and they are often diagnosed at a younger age and at later stages of the disease. The updated prostate cancer guideline issued by the National Comprehensive Cancer Network (NCCN) continues to support early detection efforts in well-informed, healthy men, but acknowledges that the optimal screening of high-risk patients is not completely known. The addition of abiraterone acetate (Zytiga) to androgen-­deprivation therapy (ADT) did not increase medical resource utilization in patients with metastatic castration-naïve prostate cancer who participated in the multinational LATITUDE clinical trial. According to the results of 2 separate clinical trials presented at the 2018 Genitourinary Cancers Symposium, apalutamide and enzalutamide reduced the risk for metastasis and prolonged metastasis-free survival in patients with nonmetastatic castrate-resistant prostate cancer. “We think this is one of the biggest survival gains ever reported in a trial of an adult solid tumor,” said Nicholas D. James, PhD, BSc, MBBS, FRCP, FRCR. Adding Antiandrogen Therapy to Radiation Improves Survival in Recurrent Prostate Cancer—A New Standard of Care? “This study’s findings—that adding antiandrogen therapy to the radiation typically used against recurrence reduces the incidence of metastasis, death from prostate cancer and overall deaths—will change the standard of care for patients experiencing a postoperative recurrence,” Dr Shipley added. From 2007 to 2013, the incidence of metastatic prostate cancer increased by 7.1% annually, resulting in a cumulative increase of 72% compared with 2004. 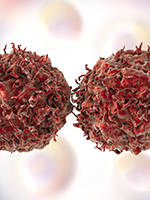 The investigational oral androgen receptor drug ODM-201 has significant antitumor activity with a favorable safety profile in men with metastatic castration-resistant prostate cancer, according to a pooled analysis of 2 early-phase clinical trials. 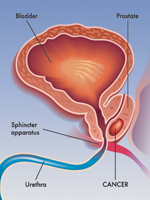 The first randomized trial to compare robotic-assisted prostatectomy with conventional open radical prostatectomy found no meaningful differences between these techniques in urinary and sexual function or in the rate of positive surgical margins in men with localized prostate cancer in the first 12 weeks after surgery (Yaxley JW, et al. Lancet.